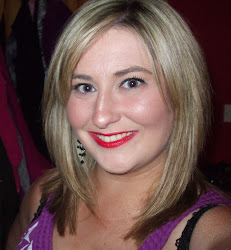 Slimming World #1- Back on plan, top tips and a pictorial food diary! 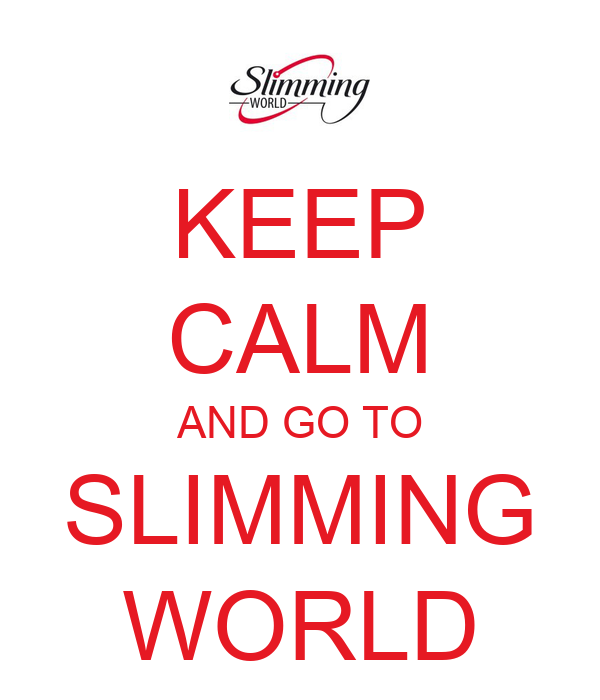 One of my resolutions for 2015 was to get back into the Slimming World frame of mind. As some of you might know, I followed the plan and went to group for a few months last year and was successful in losing some extra pounds. Life got busy, and I slipped back into old routines, and the two stone that I lost just crept back up again. I recently re-enrolled in my Slimming World group and in order to motivate myself and hopefully educate and enlighten any of you who may be interested, I decided that I am going to do a weekly summary post of all things Slimming World related for the next few weeks- recipes, news, daily struggles and the like. I'm not going to go into the details of what a syn is or how many grams of light cheddar you are allowed for your Healthy Extra A, there are threads upon threads explaining that. The thing with following the Slimming World plan is that it takes ALOT of preparation- and I would not underestimate this in all honesty. Meal planning, shopping lists, planning ahead and contingency snacks have all become the norm. I've taken to Youtube to watch SW recipe videos and, my personal favourites, SW shopping hauls, to get inspiration for recipes and snacks and embrace all things free, speed, protein, superspeed, fibre, calcium and syns. On a daily basis, I make it my business to have three full and balanced meals, and this takes preparation. Do not underestimate the preparation. 1. Almost everything nice has syns. It's sad, but it's true. I know you are allowed 5-15 syns a day but they really don't be long in adding up. I either use all 15 of my syns on a daily basis, or I use about 5. I save all my syns for treats and try to have completely free meals. 2. It's not always practical to pull the SW app up on your phone when out shopping to check syn values. A syn is approximately 20 calories. If a bar of chocolate has 200 calories, you can almost be sure it will be 10 syns. Of course- all food, even precious "free" food, has calories which you don't have to syn, so it's not an exact science but it is a pretty efficient method for guesstimating. 3. Pretty much the only fruit I eat are speed fruits- strawberries, clementines, mandarins, melon. In fact, I eat a whole melon every 2 days. I'm not struck on fruit and would much prefer my veg to be honest but I reckon if I am going to sneak some fruit in for breakfasts and snacks, I need to make it as efficient and useful as possible. 4. Try to cut out the carbs and go for more veggies. I would skip potatoes/pasta/rice with my dinner a couple of days of the week and have extra veg instead- and again, I always prefer to pick up veg that is a speed food and my favourite and most filling veg include kale and green beans. I try to have more than one type of vegetable on my plate also and try to rotate so I don't get sick of the same ones over and over again. 5. Keep a food diary and be brutally honest. I love this exercise because I feel like it gives me focus. If you write down everything, you will be able to spot all kinds of patterns and bad habits that you can iron out. That splash of ketchup has syns too, don't you know. 6. Go brown or go home. If you're slimming, I don't understand why you wouldn't go for brown rice, pasta or spaghetti as opposed to white versions. The brown has extra fibre and is extra filling, meaning you won't be picking as much after your meals. Just because the plan permits any pasta/rice etc, doesn't mean that there isn't a healthier alternative. 7. You will get sick of eating. I find this in work more than anywhere else. In the morning I will typically have my egg whites and bacon, bowl of melon, coffee and Hifi Light bar, lunch, bowl of fruit, coffee and other HiFi Light bar, mandarin, and another dinner in the evening. All the eating is exhausting. 8. Scan Bran is a necessary evil. Yes, it tastes like cardboard and lingers around in your mouth and in between your teeth for longer than any cracker should, but it is like eating a slab of fibre. I've found eating it with spaghetti hoops makes it a bit more bearable as the tomato sauce softens the scan bran a little. A couple of these a week should help you shift a few extra pounds- you deserve it for effort at least! 9. Quark is almost impossible to find. For those of you not in the know, quark is the only cheese that is free on SW. Now, I say cheese, but it's not really cheesey, it's more akin to cream cheese, but it does not taste like cream cheese, it doesn't taste of much, but it makes a mean carbonara sauce. The issues I have had in tracking this down are preposterous- any Tesco I have tried do not stock it in any shape or form, Dunnes Stores used to do two different brands but now only seem to have one and it's not often in stock in the Dunnes that I frequent. Similarly, I've had no joy in SuperValu either. I'm sure there are enough of us in SW now to justify the order so if any of you have buddies in the dairy ordering departments of your local supermarkets, hit them up. 10. Get your proportions right. The two-thirds free, one third super-free rule is key- and it's not the easiest rule to remember. Generally- I think one third meat, one third carbs (both free) and at least one third veggies. Also- and whilst I by no means pretend to be anyway gifted in the art of food preparation or presentation, I've taken some pics of the process and end results of various meals and snacks that I have created during the last three weeks since I joined SW. I'm not going to go into much detail now because this post will be crazy long but if you would like recipes or details etc, let me know and I can address those in my next post! Typical daily fruit bowl- strawberries, kiwi, grapes and raspberries. The volume of food I get through at my desk each day! My take on spaghetti carbonara- completely free and very satisfying! Slimming World burgers in the making! Another day, another fruit bowl- incorporating clementine segments this time! Laughing Cow Chicken- I mix garlic and herbs with the cheese triangles to give the filling more flavour. Laughing Cow chicken (syn free, HEA) and a mountain of vegetables for my lunch at work. My favourite to date- homemade SW meat balls and sauce- completely syn free and so tasty! Again, my spaghetti and meatballs- sure you wouldn't even miss the cheese! Pink Lady straight out of the fridge- one of my fave fruit snacks. Skinny Syrups from TK Maxx turn your ordinary latte into SUCH a syn-free treat! Another day- another tupperware lunch! Garlic chicken, petits pois and spinach. I always try to skip the carbs at lunchtime and bring two different types of veggies. Slimming World Chicken Chow Mein with wholewheat noodles. Slimming World Thai Red Curry with a ton of veg- perfect to toss in the freezer for a later date! The most satisfying syn free brunch- omelette with bacon, onion, spinach, sweetcorn, peppers, tomatoes and baked beans! Another chicken, bacon, red/yellow tomato, onion omelette- completely syn free, so filling! Hopefully this post will have given you some food for thought whether you are thinking about signing up to SW, whether you are already a member or whether you are just curious. If you have any questions, comments or tips of your own, feel free to comment below. Great post - I really need to cut down on my carbs at the moment, otherwise i'll be whale by the summer *as I reach for one last square of galaxy caramel*....urgh!